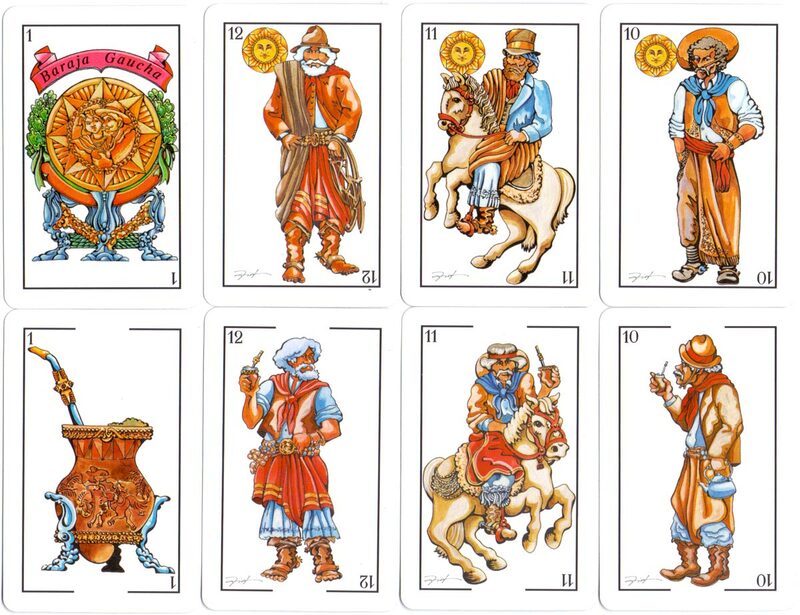 Baraja Gaucha fantasy deck designed by Mateo Tikas Plechas for Argentina, 1998, inspired by the costumes and customs of the Gauchos. Gauchos have become a sort of national symbol and an important part of regional cultural tradition in Argentina and Uruguay. 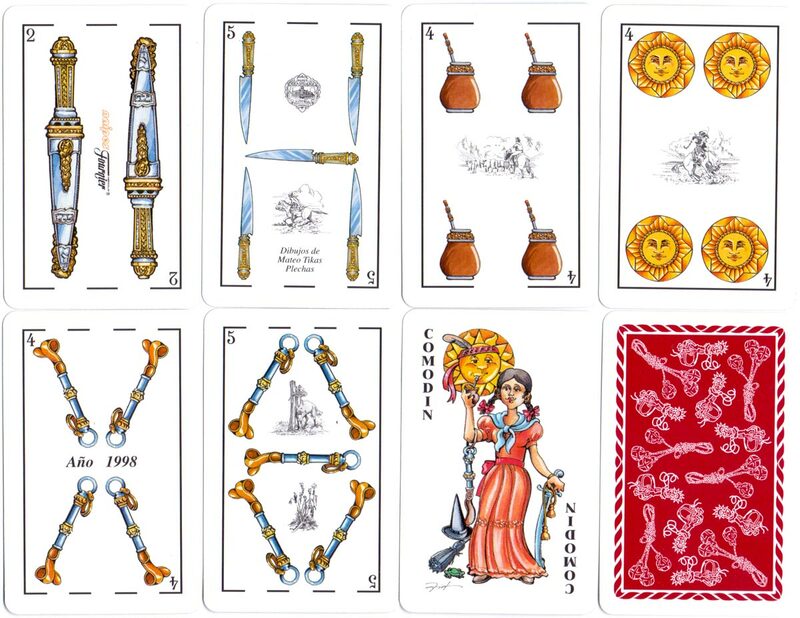 Above: Baraja Gaucha fantasy deck designed by Mateo Tikas Plechas and printed by Naipes Heraclio Fournier for Argentina, 1998. 48 cards + 2 jokers in box. 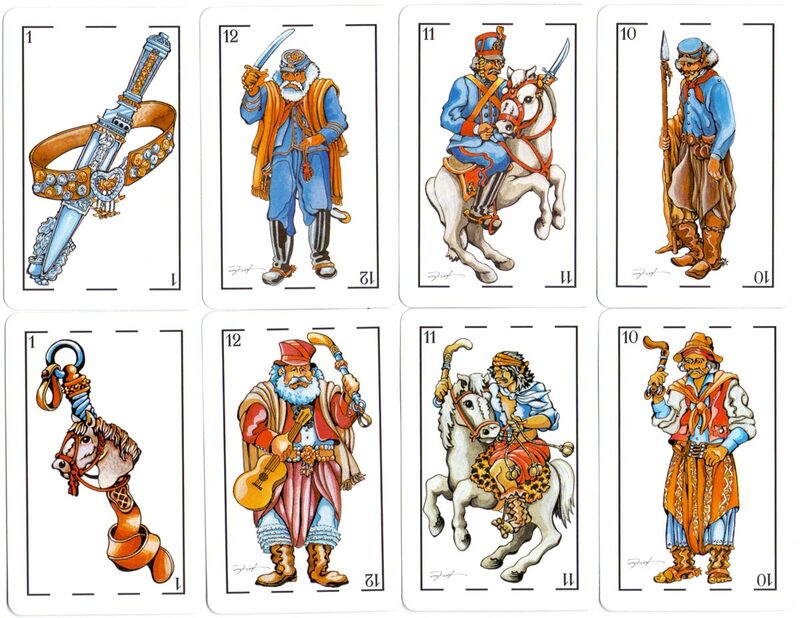 Several cards have small vignettes depicting gaucho life, and these are shown below.